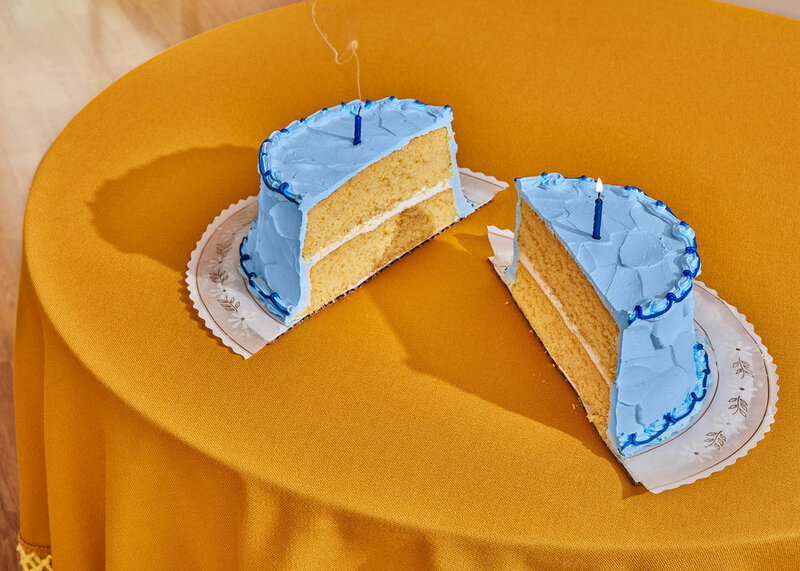 Eric Lubrick is a photographer whose most recent work, a series of photographs about growing up as a twin, consists mostly of constructed still life images using objects and color to revisit his childhood memories. Eric Lubrick was born in Baytown, Texas and raised in Louisville, Kentucky where he grew up skateboarding and shooting photographs. Photography became a vehicle to further explore and engage in his surroundings. In 2001-2005 Eric attended Columbus College of Art and Design in Columbus, Ohio. He graduated with a BFA in Media Studies. Directly after, Eric went to graduate school at Cranbrook Academy of Art in Bloomfield Hills, Michigan and graduated with an MFA in Photography. From 2007 to 2009 Eric lived in Brooklyn, New York where he continued to make art, assist high-end photographers and shoot professionally as a photographer. A full-time commercial studio job brought him back to the Midwest. Eric has worked for such publications as Allure Magazine, The Huffington Post, Sotheby's, National Geographic and Indianapolis Monthly. Eric is currently based in Indianapolis, Indiana where he is the Senior Photographer at the Indianapolis Museum of Art at Newfields. In addition to working for the IMA, Eric continues to makes art and shoots freelance for local and international clients. Being an identical twin is a real life magic trick surrounded by a sort of excitement, surprise and awkwardness. These autobiographic constructed still-lifes are two pieces from my newest series of photographs about life as a twin. Our entire lives we've been asked cliché questions like, "Do you know when your brother is sad?" or "If your brother gets hurt, can you feel it?" Perhaps the most common question we get asked is, "Have your parents or girlfriends ever confused you for the other?" The answer is yes. The astonishment of seeing two people that look identical walk into a room is not lost on me. I, too, find myself asking twins the same type of annoying questions. Often their answers surprise me. Before my brother and I could speak English we had our own language. The only word we remember is DeeTee, which meant candy. We had the same nightmare once. We no longer remember our twin language, but I’d like to think we communicate on another plane. By building these autobiographic compositions I am able to revisit parts of my life and this twin connection. Twin Boy was the name given to us by the kids in our first neighborhood. Because we looked so similar, most kids we played with couldn’t tell us apart. To simplify things, my brother and I both responded to Twin Boy. We are still often confused for each other. It’s as if we can be in 2 places at the same time. People who you’ve never met think they know you, and they kind of do. For better or worse, we can cash in on the efforts of each other. These two pieces, Hey Twin Boy Birthday Cake and Dee Tee 1 are in a series of my most recent work. They are autobiographical constructed still life about growing up as a twin. By building these compositions I am able to revisit parts of my life. Being an identical twin is a real life magic trick surrounded by a sort of excitement, surprise, and awkwardness. Twin Boy was the name given to us by the kids in our first neighborhood and most people didn’t know our actual names. We have often been confused for each other. People who you’ve never met think they know you, and they kind of do.